PAN Communications is a PR company providing support to businesses in search of brand-building and marketing solutions. 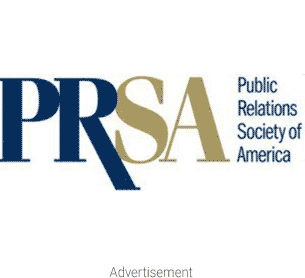 Modern organizations need a partner they can trust in the public relations department today. That’s why PAN works hard to make sure that they get the help they need with everything from state-of-the-art communication efforts to integrated marketing. PAN Communications is well-known for their seamless strategies designed to provide customers and businesses alike with seamless experiences. This is a PR business with years of experience in building great stories for their clients through everything from content marketing to social media, data analytics and more. PAN Communications works with a wide variety of businesses, though they specialize mainly in the fields of healthcare and B2B technology. The fantastic service that PAN offers means that they constantly receive great testimonials and reviews from their clients – so they don’t have a hard time finding referrals. Whether you’re looking to scale into a new market or you want to give your brand more weight in an existing space – PAN Communications knows what it takes to disrupt an industry and help it to evolve. The name PAN and the ideas for the PR company come from the founder and CEO of the business, Phillip A Nardone JR. When Philip brought PAN to life more than 20 years ago, he had no idea how quickly it would grow. Phil had a vision to create a firm that was exceptionally well staffed and great at helping clients achieve their goals. He also wanted to design an agency where employees felt passionate about what they do. You can see this passion in the PAN communication projects today with clients like 8×8, Action, AppDirect, Citrix, CloudBees and many more.